Travel planning can be exciting, and the travel blogs like the ones we’ve listed in our Travel Links page are excellent inspirations. With many travel websites available, research can be time consuming so we’ve listed the best travel websites we’ve found that have been the most useful for the more functional aspect of travel planning and research, i.e. travel transportation, accommodation, and destination guides. Some are general and some of these travel websites focus on regions we are focused on next e.g. 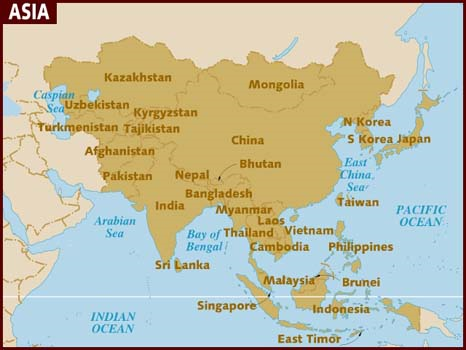 India and South East Asia. Rome2Rio is excellent for travellers planning the best way to get from their departure point to their destination. Plot in two destinations and Rome2Rio will provide various air, land and sea transportation options with timing and cost estimates. Brilliant for travellers planning for the fastest or cheapest way to travel and excellent for planning the order of your itinerary to find the most efficient travel routes. With around 200 countries in the world it’s always hard deciding where to go. Sacha has a rule when we travel (which I sometimes try to argue against) that we shouldn’t visit a country that we’ve already been to. In this case it was pretty useful as it eliminated around 30 countries. I eliminated Europe because we’ve seen a lot of it recently on our shorter travels and I was after a bigger culture shock. It came down to a toss up between the natural beauty of Central America and the multifaceted culture of Asia. Asia finally won mainly because Sacha has always wanted to do the various golden triangles in India and Vietnam-Cambodia-Laos, the opportunity to teach English, and also because of our heritage.